How Did Jesus Feel When He Saw All of Them Leave? Those seven lamps represent my eyes—the eyes of the Lord—and they see everything on this earth. Richard: The “day of small beginnings” could mean Foundation Day, or Day of Origin, January 13, 2013 by the Heavenly Calendar. The one who laid the foundation for the temple is True Father, Sun Myung Moon. The temple is the Kingdom of God on earth, or Cheon Il Guk. stood watch in your towers. Richard: This is a funeral song for Tyre, one of the two main cities of Phonecia, written circa 586 BC. Jesus came to bring an end to God’s sorrow. He could not have happiness and freedom. Although he appeared before God as most holy and good, he was seen as the sinner of sinners by humanity. Could there be anything more miserable than this? There is no greater sadness than the sadness of Jesus. On this earth he was trampled, persecuted and eliminated, even though he was the prince of heaven, whom the universe should have welcomed and embraced. 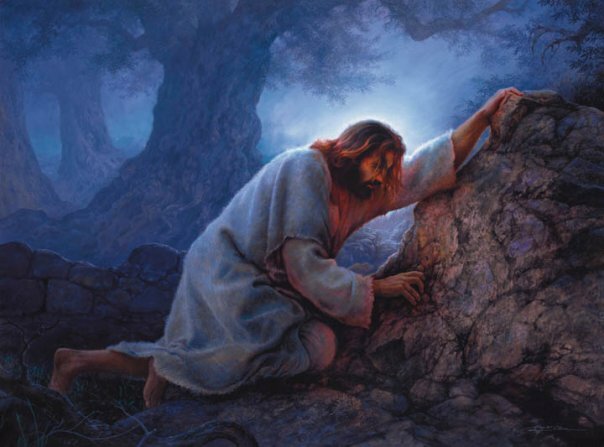 Is there anyone more sorrowful than Jesus, who constantly ran into tribulation and was ultimately eliminated, unable to realize his dignity and mission fully? Jesus was castigated by none other than the people of Israel, the chosen people whom God had struggled to establish for four thousand years. He was persecuted by the Jews, whom God had loved constantly and whom He had established to uphold the will of the providence. Author drichardurban@urbangrocery.comPosted on March 26, 2019 March 26, 2019 Categories 1959, Ezekiel, Speeches of the Rev. Sun Myung Moon, ZechariahTags God's heart, Jesus' HeartLeave a comment on How Did Jesus Feel When He Saw All of Them Leave? I have done by holding this ceremony. Parents are embracing all humankind. be restored in the realm of parental love. Richard: Rev. Sun Myung Moon has victoriously paid the price for us to now build God’s Kingdom without the ceaseless struggles of unnecessary wars and conflicts. Who were the ones who betrayed God as if it were their duty? Who stood foremost in condemning him? They were the Jews and the people of Israel, the very ones whom God had asked to have faith and to follow. There is no way that God prepared the Israelites for four thousand years so they could kill Jesus. Jesus was not completely victorious. He could not win the complete victory. Do you not think so? Had the fact of Jesus’ crucifixion meant his complete victory, that day of suffering would have been most joyful. The moment of his death on the cross would surely have been the moment of final victory and celebration for all humankind. We know that it was not. That is why Jesus prevented Mary Magdalene from approaching him with a joyous heart. Jesus could not be enraptured with the joy of having brought victory to Heavenly Father with his beloved disciples. He could not realize that. That is why we should understand Jesus embraced sadness; his death was sorrowful; his resurrection also took place with misery. We have to become Jesus’ companions, as he had no place for himself while experiencing the sad heart of God, forgetting his life, and being chased around breathlessly from village to village, suffering much hostility. 9-10 On the Sabbath, in addition to the regular daily sacrifices,[b] you must sacrifice two rams a year old to please me. [c] These rams must have nothing wrong with them, and they will be sacrificed with a drink offering and four pounds of your finest flour mixed with olive oil. who are cruel and brutal? Jesus is the one in whom we believe today and who sacrificed his life for this faith. No religious people have known about this since history began. No one on earth knew how to grab hold of Jesus and cry over this. Carefully considering this matter in this light, the mind with which you can weep unrestrainedly for the sorrow of Jesus must linger in you and overwhelm you. Otherwise, you cannot be considered a religious person who is proceeding toward the heavenly kingdom. That is how I feel. As we come to look at this pitiful people now, we have to feel sorrow regarding their fate. As we see religious denominations fighting with one another and splintering into fragments, we must watch it from the position of being inseparably related to it. Only when you know how to feel sorrowful, having a mind like that of Jesus on behalf of history, the present period, and future descendants, can you leave at least the condition of receiving the blessing granted to Israel to your descendants on the earth. You must know this. True Parents. These are amazing words. When we summarize these things, we can understand that it is required by the Principle that, after democracy has settled and new doctrines have arisen, religions must be united. What must we do to remain on the side of democracy? To remain in the free world, Jesus must be with us. If a nation lives for the entire world and all humanity together with Jesus, abandoning everything for the sake of Heaven, then it will remain intact. Jesus called out to God even at the moment everything he had was taken away from him. Jesus was intoxicated in the love of Heaven, to which he clung, and he offered all that he had. If we follow this Jesus, we will remain alive. When a people possesses this ideology, all other people will be defeated at their hands. 1-42 Foreigners will hear about you and your mighty power, and some of them will come to live among your people Israel. If any of them pray toward this temple, 43 listen from your home in heaven and answer their prayers. Then everyone on earth will worship you, just like your people Israel, and they will know that I have built this temple to honor you. 17 Jesus told her, “Don’t hold on to me! I have not yet gone to the Father. But tell my disciples that I am going to the one who is my Father and my God, as well as your Father and your God.” 18 Mary Magdalene then went and told the disciples that she had seen the Lord. She also told them what he had said to her. Richard: Jesus could not allow Mary Magdalene to embrace him, as he did not have the foundation on earth to be able to receive his bride.